Is there a better alternative to Calex? Is Calex really the best app in Personal Info Managers category? Will Calex work good on macOS 10.13.4? Calex helps you managing corporate time. 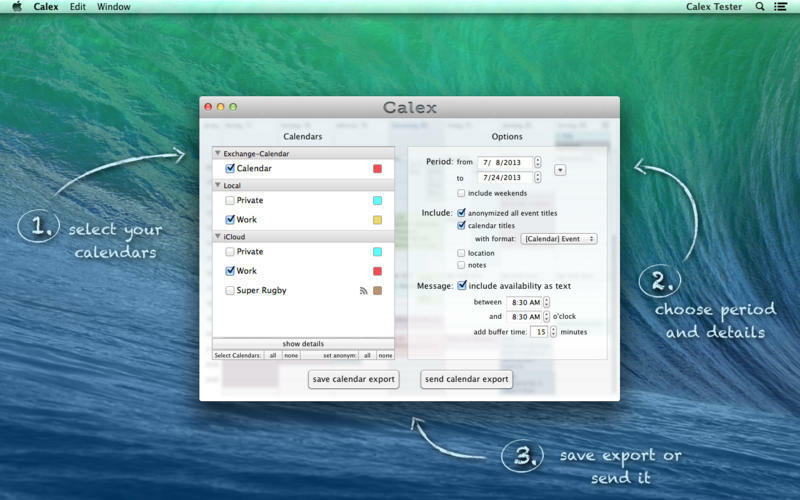 Simply select your important calendars from any source and let Calex combine them to one single sheet. 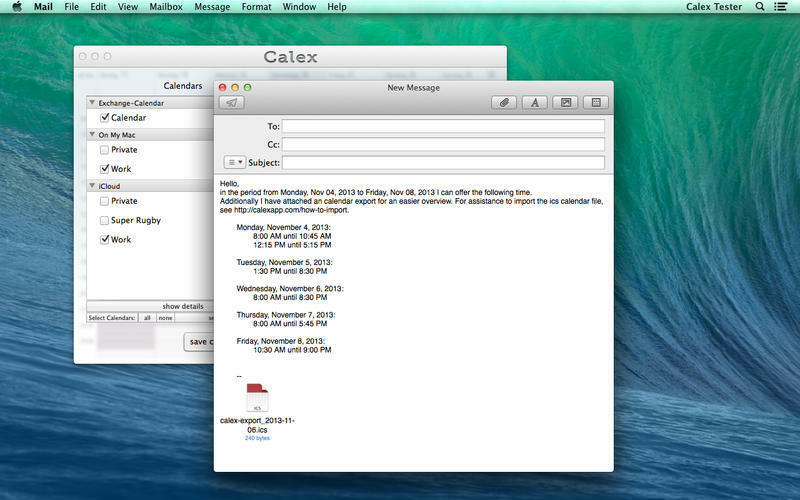 With Calex it becomes a lot easier to make appointments. Simply export a snapshot of your current calendar for any given period. Do not worry about giving too much insights by selecting the right amount of details for calendar exports. Added Spanish and French translation. Calex needs a rating. Be the first to rate this app and get the discussion started!